We won an invited competition to design a masterplan for a residential-led scheme on the outskirts of Liphook. The site is situated to the south west of the village centre and is designated as part of the South Downs National Park. The landowner, a local resident, wants to create a high-quality residential development which forms a lasting legacy for the village and sets a benchmark for rural housing schemes. 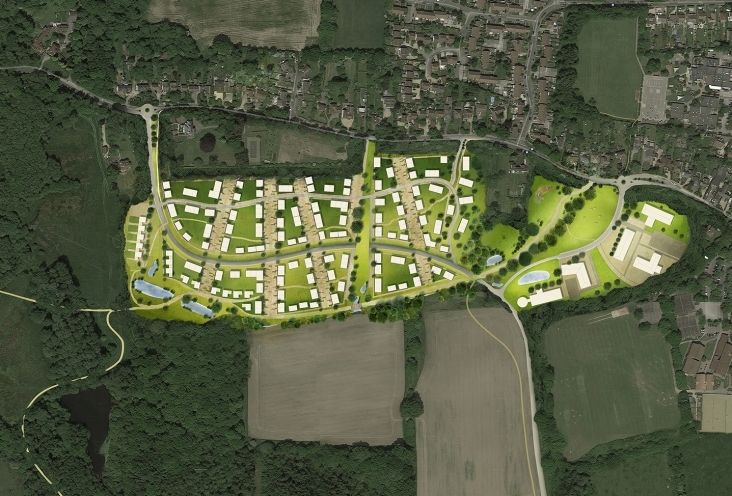 Our proposal creates a landscape-led layout which responds to the site’s unique topography and provides a new linear park linking the village centre to the National Park. The grain of the masterplan is characterised by large avenues which offer the residents views of the National Park beyond. 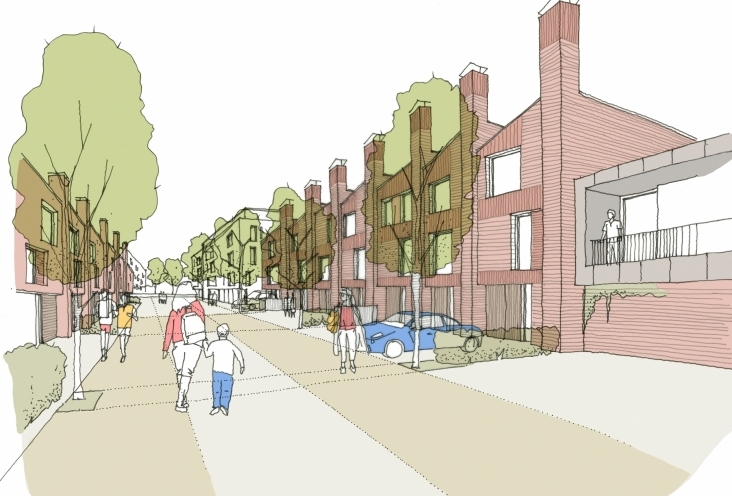 The latest proposal indicates a layout for 200-250 homes, a new flagship office development, expansion for the local schools and a new relief road.